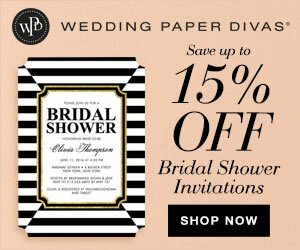 If you’ve been checking out Trueblu for awhile, you know how much we love Kate Spade. 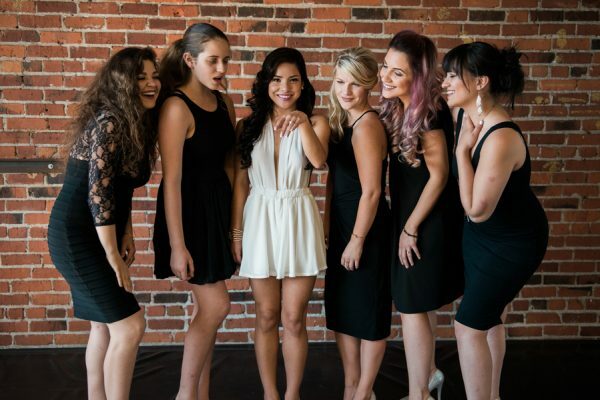 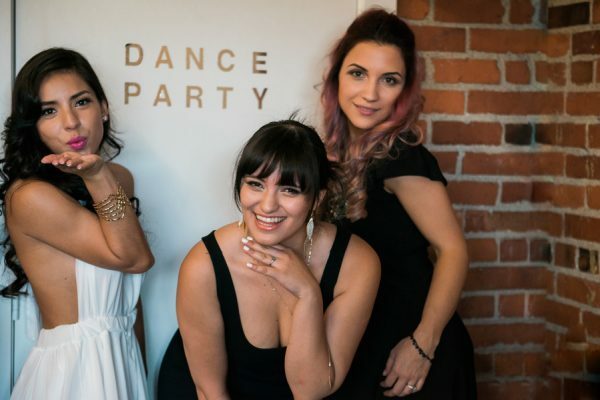 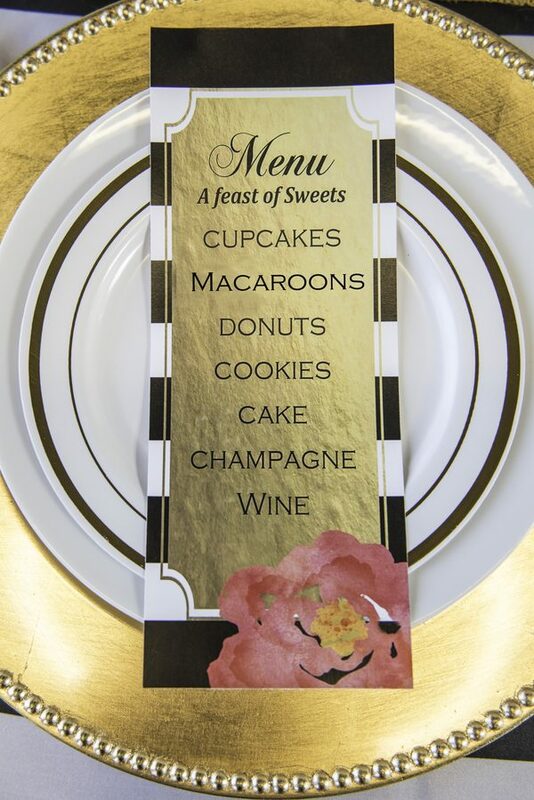 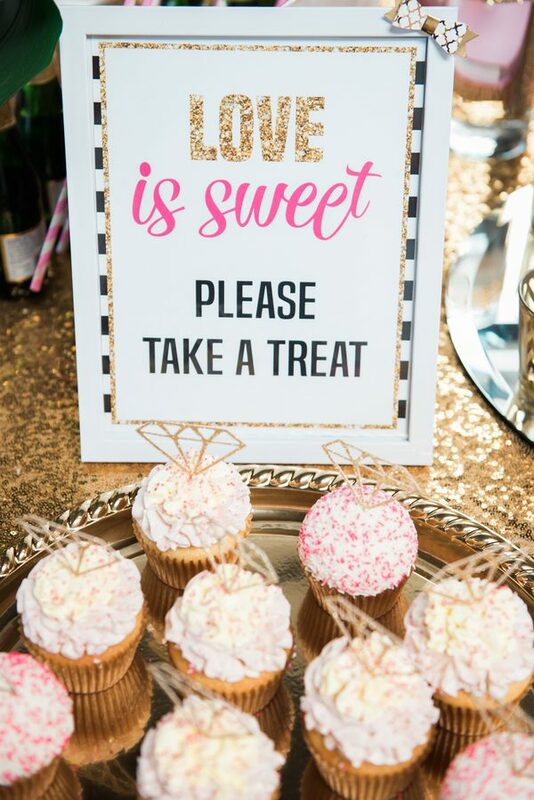 So when this Kate Spade- inspired bridal shower came onto our radar, we knew we had to share it. 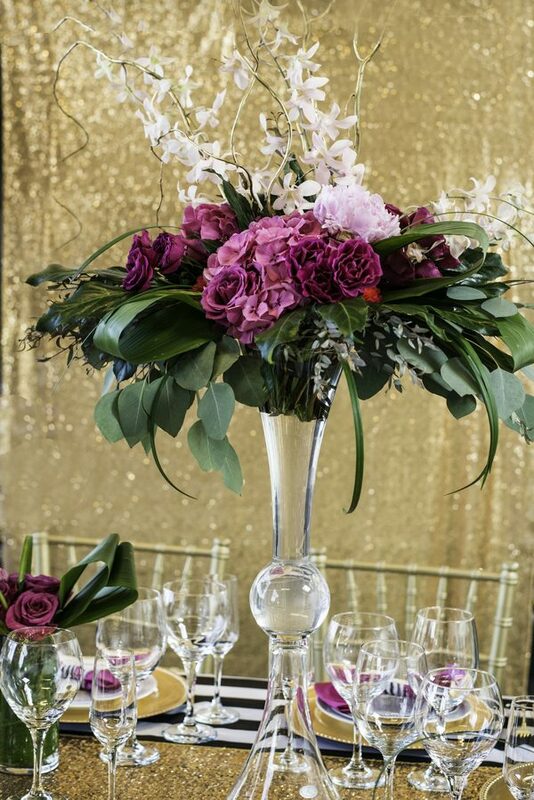 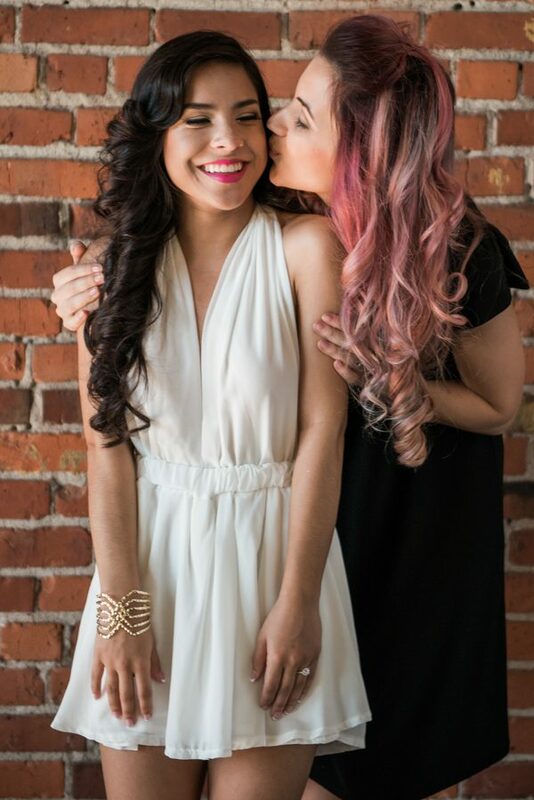 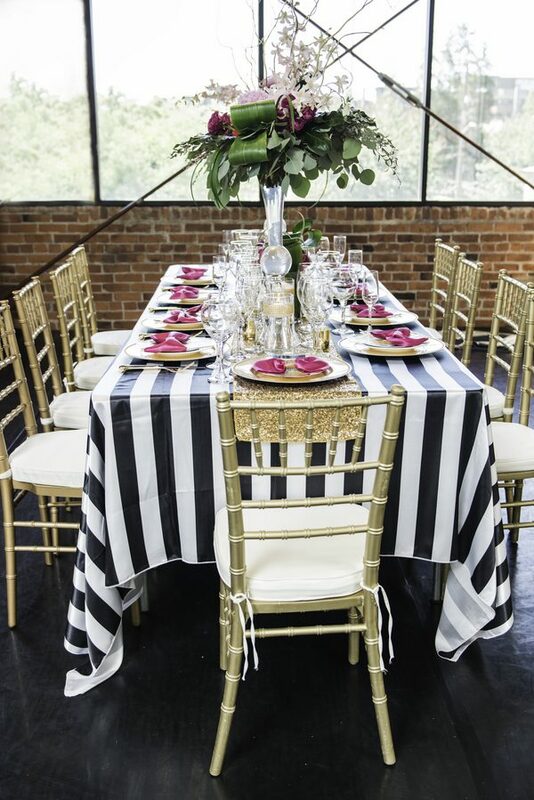 This styled shoot, created by Winsome Taylor Events, is all kinds of girly and incredibly elegant. 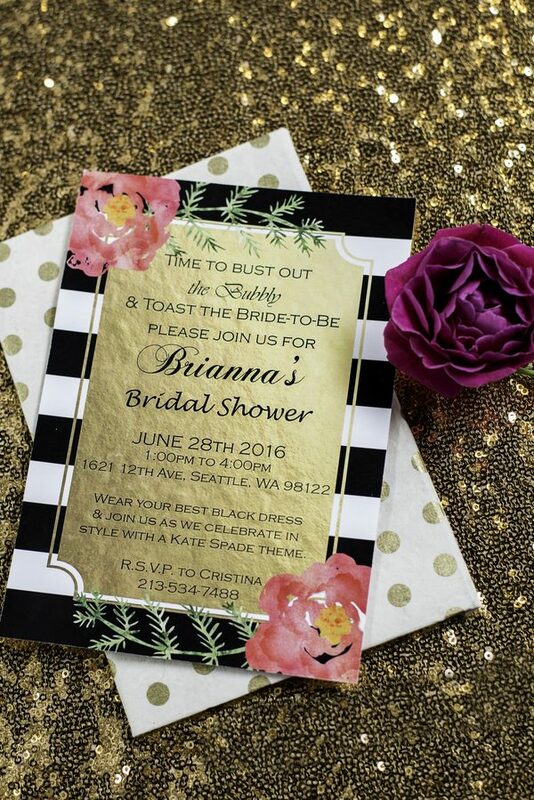 The gold, black, and pink color palette along with stripes, polka dots, and sequins blends modern and vintage. 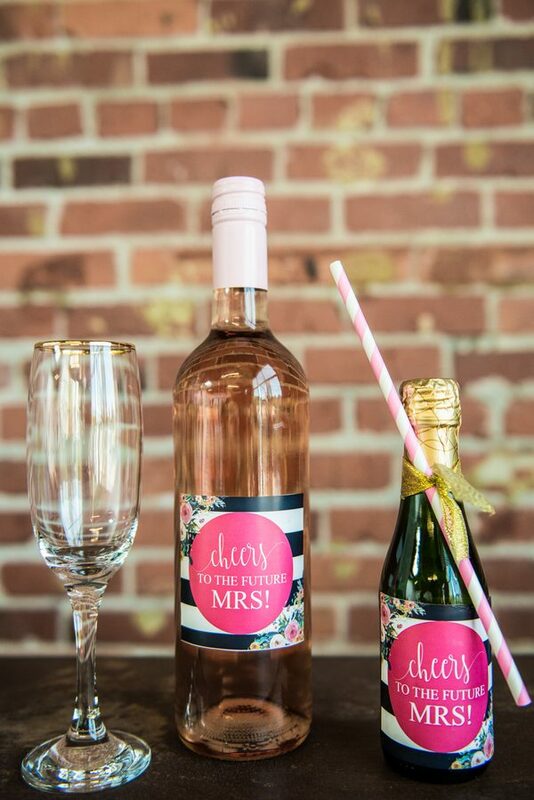 Little details, like the engagement ring cupcake toppers and champagne bottle labels, gives the shower a personal feel. 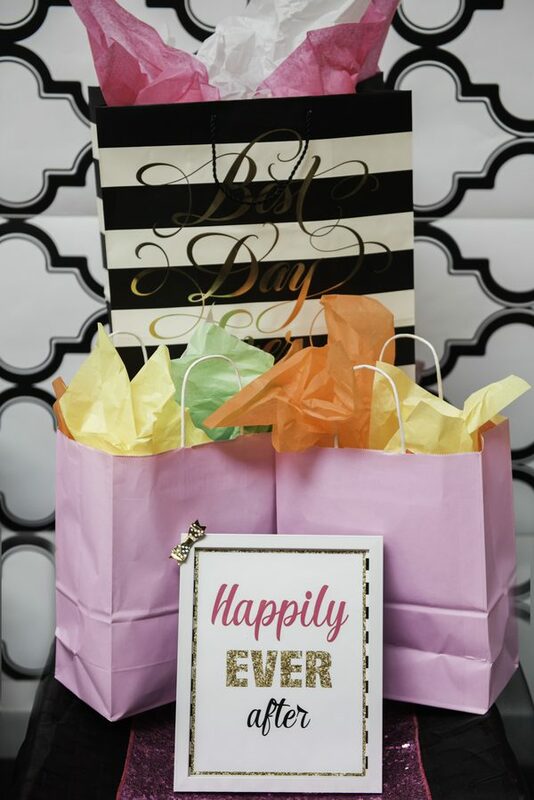 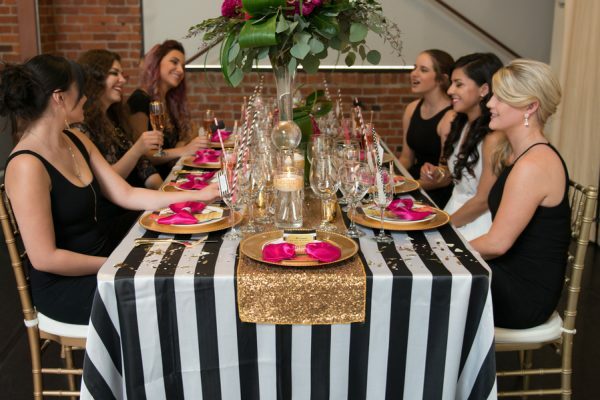 You’re sure to get plenty of Kate Spade bridal shower ideas from these photos by Kaemere Photography and Design.